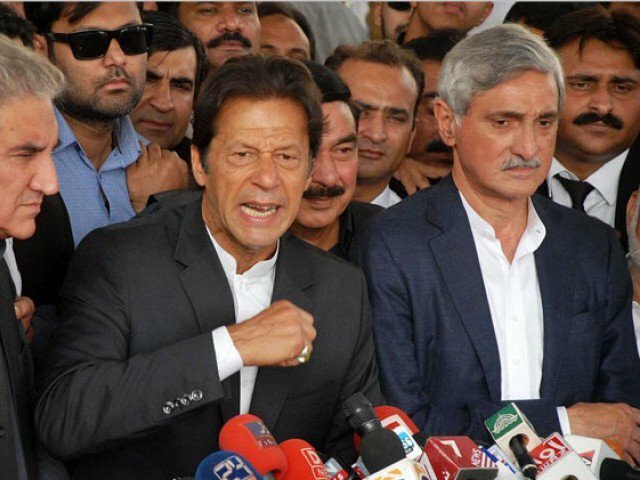 (Pak Destiny) PTI’s Jehangir Tareen should ‘dedicate’ his son’s defeat to Bushra Bibi, a would be bride of Imran Khan, and the word – ‘Laanat (curse) – his party boss so fond of using for parliament from where he is eager to get elected prime minister. After this shameful defeat of Ali Tareen (son of Jehangir Tareen) in Lodhran at a margin of more than 25,000 PTI Chairman Imran Khan should better stop using bad and foul language for his opponents and the institutions like parliament. This Oxford alumni should show some manners and maturity in his politics. Losing at the hands of PML-N low profile Iqbal Shah shows the PTI’s popularity graph at the low ebb since October 2011 when PTI shot to fame after historic rally in Minar-e-Pakistan. 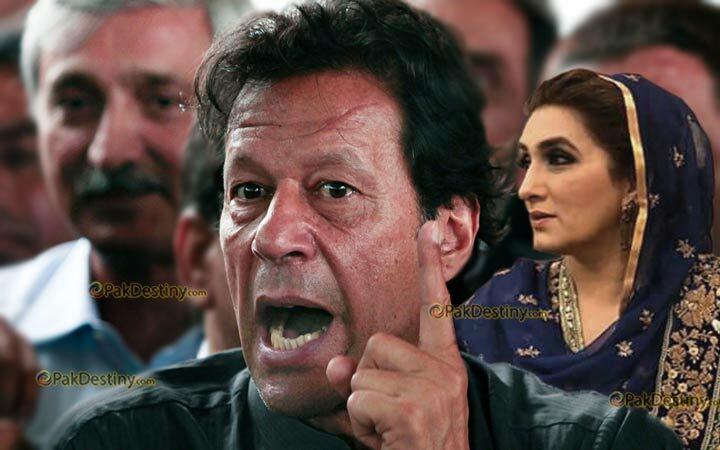 Independent analysts are of the view that three things had caused doom of PTI in Lodhran and may continue further — Imran’s marriage scandal with Bushra Bibi of Pakpatan (Imran still denies his marriage but says he has proposed her), Imran’s ex-wife Reham Khan’s revelation that he married her on Muharram 7 ( fact that hurts Shia and Bralvi vote immensely) and his blatant cursing of parliament. Combine these three factors together and Mr Tareen and others will come to know reasons why Ali Tareen was defeated. This humiliation of Khan’s party does not seem to end here. He may further bite the dust if he does not settle his marriage issue with Bushra soon. Otherwise just before this year’s election eventually his opponents will bring more ‘curse’ on him in the form of his marriage kahani and other stuff. Reham already is busy writing a book on him revealing a lot of spicy stuff. To whom you will dedicate the abuses and curses that you will get from being an admin of this page?